Leonardo DiCaprio and Martin Scorsese are reprising their collaboration from The Wolf of Wall Street on a new film: Devil in the White City. Paramount just won a bidding war for the film, Deadline reports, which is based on a nonfiction book of the same name by Erik Larson. The movie will be directed by Scorsese. The story centers on Dr. HH Holmes, who will be played by DiCaprio, a serial killer from the late 1800s in Chicago who murdered anywhere from 27 to 200 people and sold their skeletons to science. 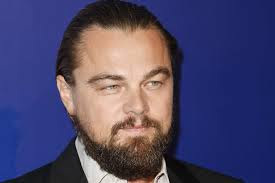 The movie will have high standards to live up to, based on Scorsese and DiCaprio’s past work together: Gangs Of New York, The Aviator, The Departed, Shutter Island and The Wolf Of Wall Street. Leonardo DiCaprio attends the Solutions Project garden party at La Plaza Cultural on June 18, 2015, in New York City.